If you’re looking to buy a new pickup truck, there are a lot of great options currently on the market. 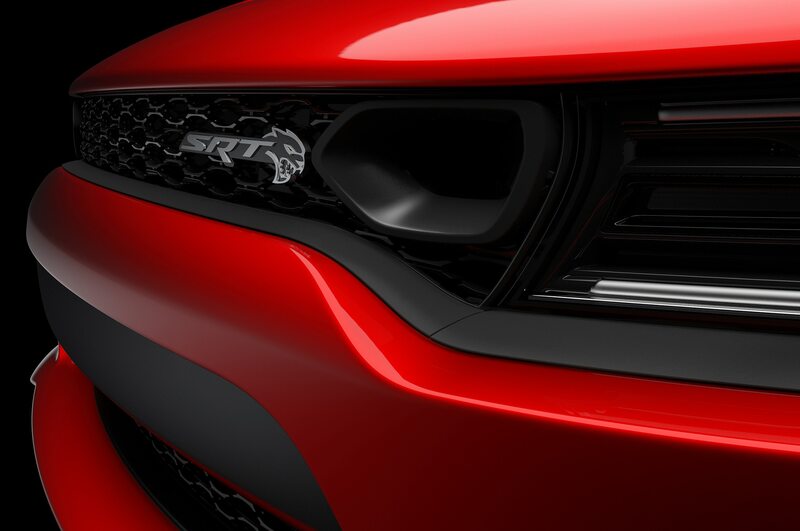 In addition to multiple off-road and luxury models that didn’t exist until a few years ago, the midsize segment is finally thriving once again. And yet, whether you buy a Ram 1500 Limited, a Chevrolet Colorado ZR2 Bison, or a Toyota Tacoma SR with the Utility Package, you’re going to have a hard time standing out. There are just too many trucks on the road. Unless, of course, you’re talking about classic cab-over pickup trucks. 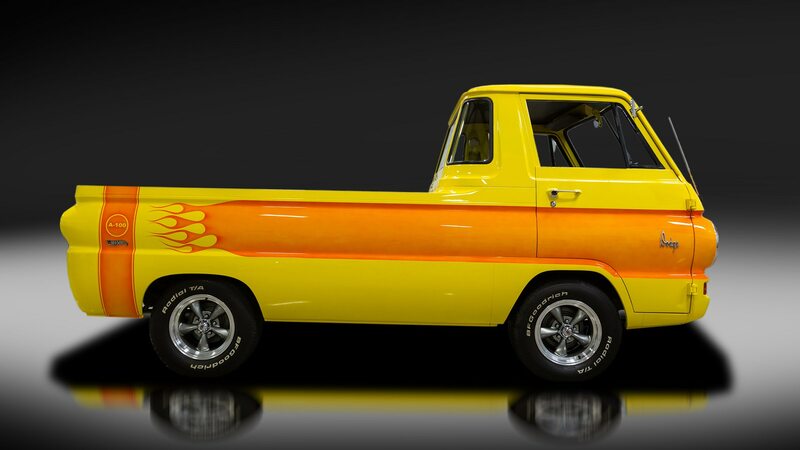 Specifically, we’re talking about this 1969 Dodge A100 that will be for sale at this year’s Barrett-Jackson Palm Beach auction. It has an orange-on-yellow paint scheme that won’t be to everyone’s taste, but even if you decide to repaint it, it’s still going to stand out like a life-size Hot Wheels car. 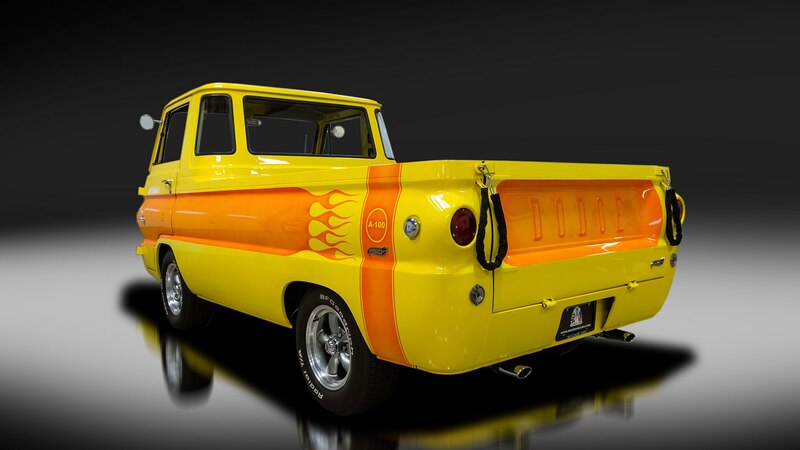 In fact, it would also be the perfect truck to take to the Hot Wheels Legends Tour that’s going on through November. But most important, it’s a cab-over pickup truck, which makes it automatically cooler than all the conventional trucks you’ll pass. 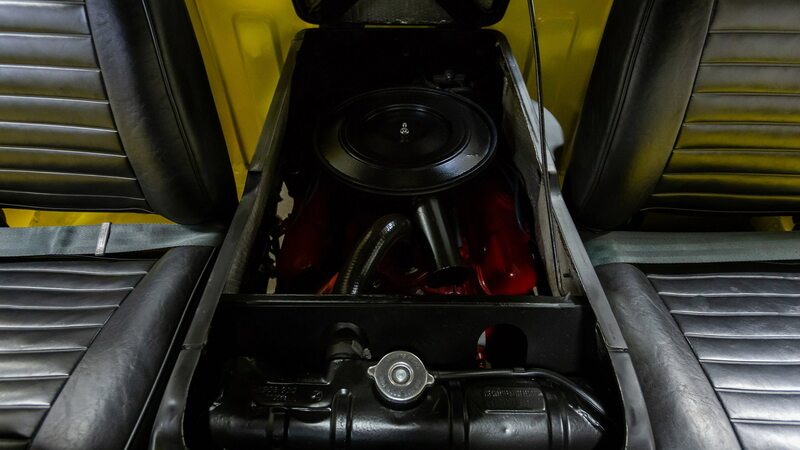 This particular Dodge A100 is powered by the original 210-hp 5.2-liter V-8, an engine the seller claims only made it into 2,235 A100s. 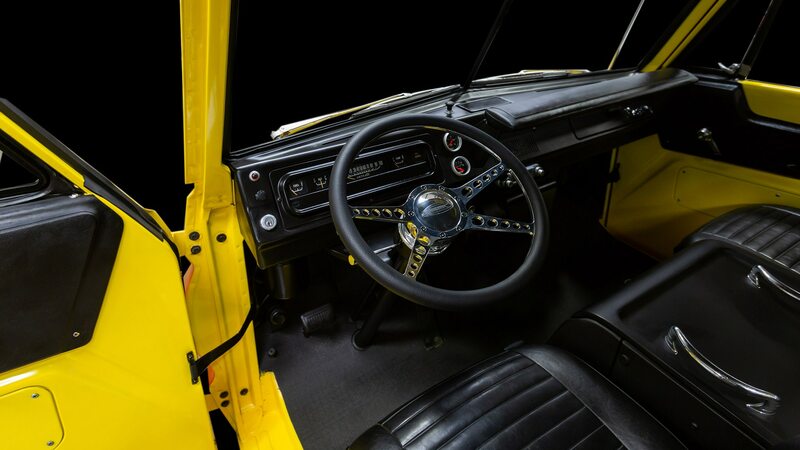 When the truck was restored in 2012, the three-speed transmission was rebuilt, and the column-mounted shifter is said to operate smoothly. 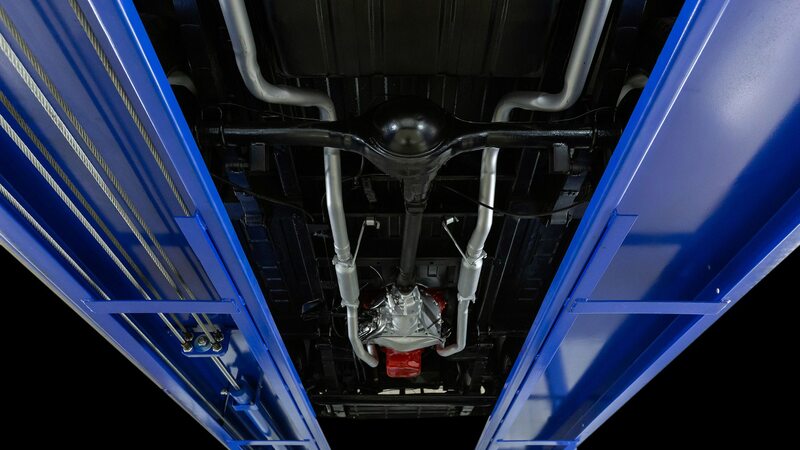 You can also still use it as a truck and not a showpiece if you want since it received a spray-in Rhino bed liner. Even better, unlike a lot of the other high-profile vehicles that Barrett-Jackson auctions off, this one should be relatively affordable. Back in February, it was listed on eBay with an asking price of $39,900 but didn’t find a buyer. 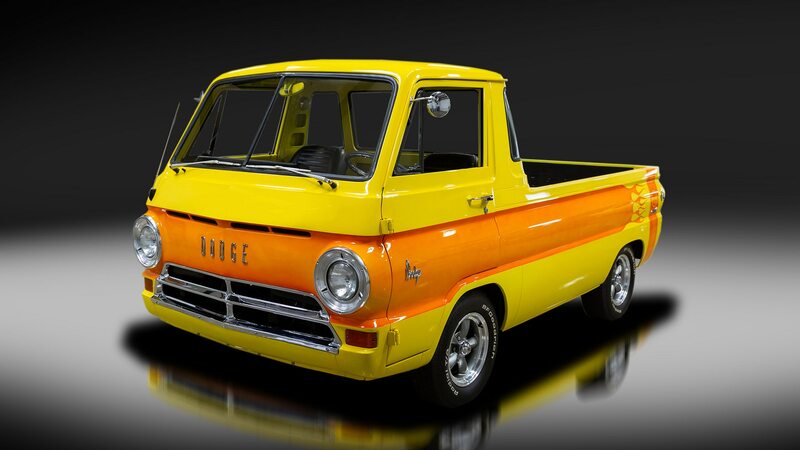 That just means you’ll have a chance to pick up one seriously cool truck this weekend at Barrett-Jackson Palm Beach, possibly for not much more than the price of a mid-spec Ford Ranger. Barrett-Jackson heads into its second big event of the year, the 2019 Palm Beach auction, April 11–13, 2019, at the South Florida Fairgrounds in Palm Beach, Florida. The 17th annual Palm Beach collector car sale will showcase hundreds of coveted vehicles, and the experts from MotorTrend will be there to bring you all the action LIVE from the auction block. You can catch Barrett-Jackson Palm Beach on MotorTrend Network every day of the auction from 12:00-6:00 pm EST and download the app for exclusive, live coverage. Need more viewing options? You can also tune in to our live stream from your web browser on April 11, April 12, and April 13.